I love the sound of cicadas; for me it’s the sound of summer, of lazy hot days when lying in a hammock or by the pool is the only thing you want to do. It’s also a nostalgic sound conjuring up family holidays in Greece and Provence as a teenager and later my university years in Sydney. Now I’m lucky enough to live in “summer holiday land” it’s the sound that heralds the hot weather, the end of school and the beginning of the long summer holidays. When I first moved to the south of France, in April 2007, I was surprised not to hear any of my favourite Provencal insects. I asked a local why there weren’t any and was told it was too early in the year; they started on the 24th of June. Deadpan, no hint of humour, the 24th it was! And I kid you not, I have heard the first one each year since on, or very close to, the 24th of June. Yesterday, when driving my son to his end of term music gala at 10.30 am we both shouted out “cigale” at the same time as we heard the familiar ssh ssh ssh ssh ssh. It was the 24th of June. Cicadas come out when the ground temperature reaches 22°c and although we’ve been having heat in the 30s for a couple of weeks I guess it takes time for the ground to warm up. They live off the sap of certain trees including oaks and pines of which we have a plentiful supply in the garden at Lou Messugo so we always have a resident few during the summer months. They sing during the hottest times of the day, often accompanying siesta time and can reach up to 120 decibels. This is technically loud enough to cause permanent hearing loss and is approaching the pain threshold if close to the ear but luckily they live high in the trees and stay away from human heads. Just when you think enough’s enough and you can’t bear any more, they stop and the silence is deafening! It’s a male thing – it’s the guys that sing and they like to raise all their nearby mates to sing along together in unison. They get louder and louder, trying to out-do each other and then they stop, altogether, just like that. 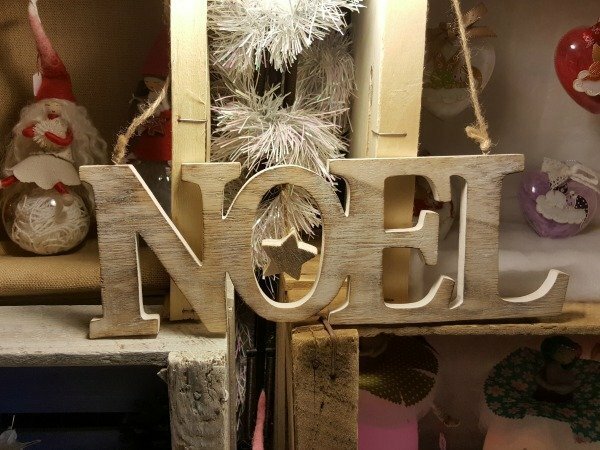 You’ll find souvenir shops from Nice to Nîmes via Montpellier and Marseille groaning with ceramic cicadas to hang on the wall, cicadas that sing, cicada table cloths, cicada this and cicada that. To some the song of the cicada is a deafening drone, to others it’s hypnotic, but to me it’s pure summer – simple as that! Have you heard cicadas sing? Do you like the sound or hate it? I’m not sure if I have heard cicadas in person but I know the sound from TV and film. I probably heard them in Africa but it’s kind of white noise. I love the souvenirs, they are really pretty. I would definitely buy one! Have a good August and I hope you get a break! We have grown up with the sound of Cicadas every summer in the U.S., and were mildly surprised the first time we heard them abroad. It’s funny how you think of something as a local thing, until you travel somewhere and find the locals there also think of it as their own. We don’t seem to celebrate them as much, though, in Texas. I don’t think I’ve ever seen ceramic Cicadas in our shops. We’ll have to look for them the next time we’re in France! You are so right! Cicadas are the sound of summer. I am not a fan although I do like when I first start hearing them because that means it is summertime and I love summer! Thanks for all that interesting and fascinating information. I’ll make sure I listen very carefully on the 24th June, next year! Lovely to revisit this post and thank you for adding it to the 100th #AnimalTales I am dreaming of holidays in hot places now! I love the sound of cicadas! It says summer and holidays to me! But how strange that they always appear on the same day – and that they can reach 120 decibels – ear plugs needed! What an intriguing creature and how lovely that they sing. Thanks for hosting #All About France and sharing the stories of your beautiful home! What a fine evocation of summer in Provence (and your photos, as always, are spectacular, too)! 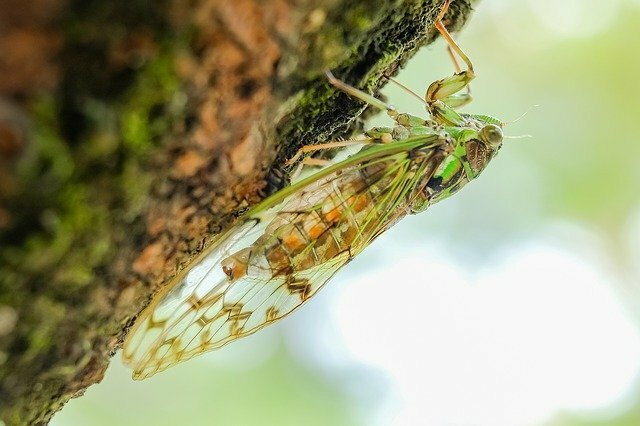 Lovely article about the cicadas. I don’t hear any in the city – they are replaced by the buzz of scooters… Or when I am in the Old Town and walk by a shop that has one of those motion-sensor ceramic ones. But I do like to get out into nature a bit and hear the real ones sometimes. “They live high in the trees…” Yes, our back deck in Sydney is at tree top level due to the slope of the land and when the cicadas sing we cannot sit outside or even have the back door open they are so loud. However, I did learn after our first year of living in Sydney that the cycle is a seven year one, so we have a couple more years of relative peace before the earmuffs must come out again. Just reading the name of your post gave me goosebumps. I think of cicadas screaming, not singing. Hate the things. One fell down from a tree into a friend’s hair as a kid and it was a nightmare. Let’s leave it at that. They give me the heeby jeebies. 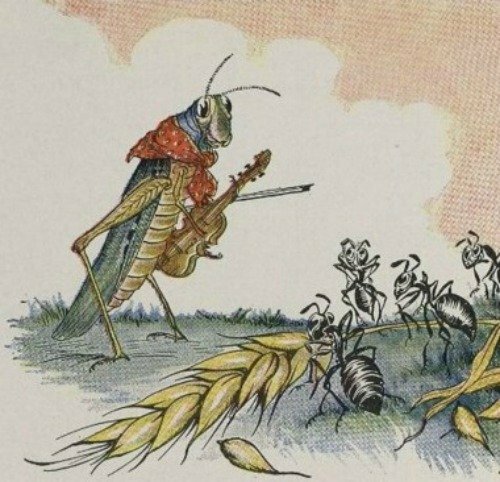 But I was happy to read your take on the insects. 😉 Thanks for hosting! Likely I have heard cicadas singing before, Phoebe, but ~ born city gal that I am ~ did not recognize the sound. Could it be cicadas are the only insect I haven’t YET seen in New Mexico? 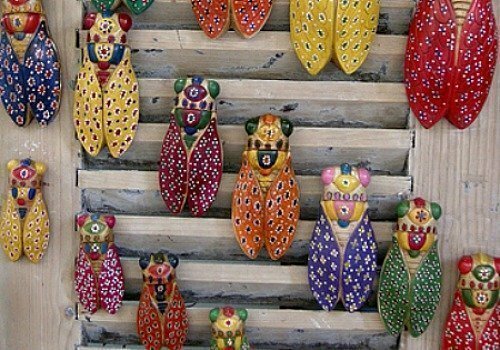 Anyway, those ceramic cicadas are so attractive; wouldn’t mind seeing one of [i]those[/i] around our home! 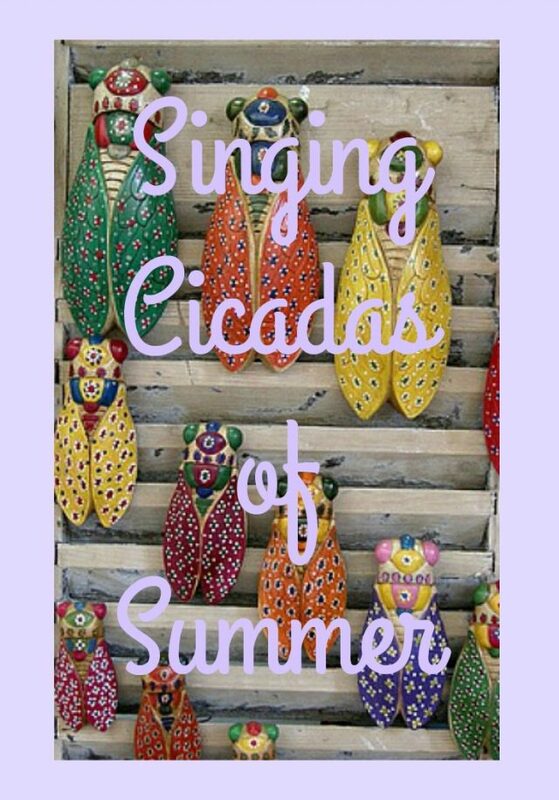 I too love the sound of cicadas and the merest hint of their call can whisk me off to hot holidays in Crete or Italy. I find them totally hypnotic. Popping over horribly late to say thank you for linking up with #AnimalTales and apologies for the delay – blame a storm wiping out our Internet! Luckily ours shut up at night! But even if they carried on I think I’d just sleep through it as it’s just the background noise to summer here. I’m ashamed to admit that I’ve never heard of cicadas. But it must be a really cool sound. It’s amazing how fine tuned our ecology is, and I’m glad that there are places like where you are where you evidence this so beautifully! 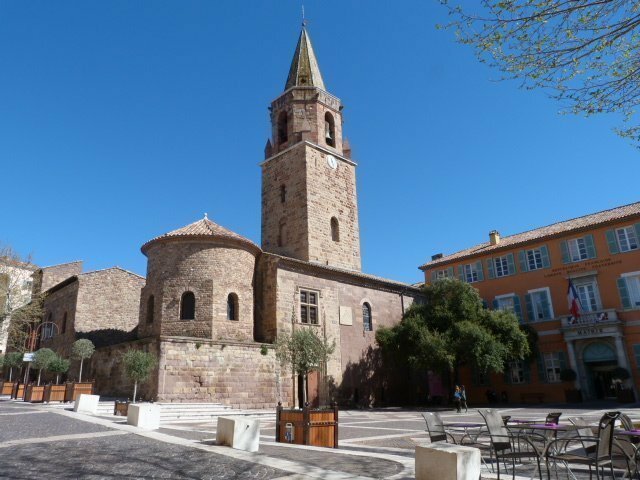 I love your Provencal stories…written in such an engaging manner, too! How amazing to be able to pinpoint it to that an accurate date! Thanks Tamara! Thanks for reading and taking the time to comment. Please come back again soon. Thanks for your comment Delia. Yes the 2nd picture is a real cicada, the other two photos are ceramic souvenirs not wood. You can find them in all the souvenir shops around here. I have the same feeling about cicadas. They totally conjure up memories of long summer holidays spent exploring in my Toronto suburb. Wonderful post! 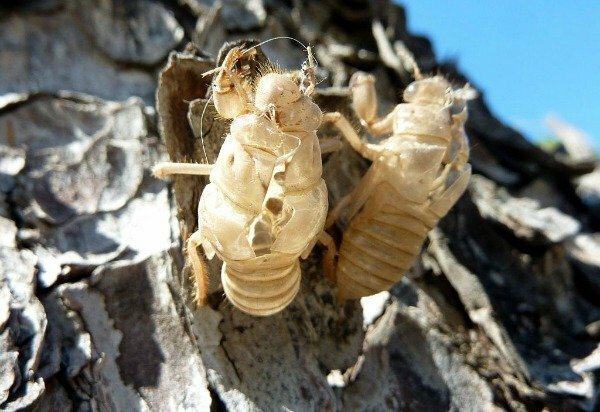 I want a painted cicada, they look so preet and it would go with our cockroach bought in Bangladesh! Thanks Drahcir. I’m not sure I’m good enough to publish but I do enjoy writing these little blogs. Thanks for the interesting article, Phoebe. Cicadas definitely evoke fond memories of summer holidays … lazy summer evenings, relaxed chatting with a bottle of wine. Lou Mesugo here we come! I really like this one, Phoebe. When you’ve got enough of them you’ll be able to put them together as a lovely up-to-date book on living in Provence.